Many kinds of manicure treatments have been available in the salons and each treatment gives different results. It is all just depend on the method of application, company’s brands and the products you are using. Here we discuss about the Pros and Cons of Shellac Manicure VS Gel Manicure in brief. The long lasting result remains about 10 days. They keep your nails shiny whole time. They are tough just like your nails so there is no doubt of effect to them due to any cleaning, filing, and picking stickers off things, doing dishes. When you go out of salon, your drying time is finished and you would be free of any dents or smudges. You would have to go back to salon for removing the Shellac manicure; sometimes it can’t be easy to do at home. It costs about $5 for the removing procedure at salon. If you are buying another manicure then you would get the opportunity to remove for free. 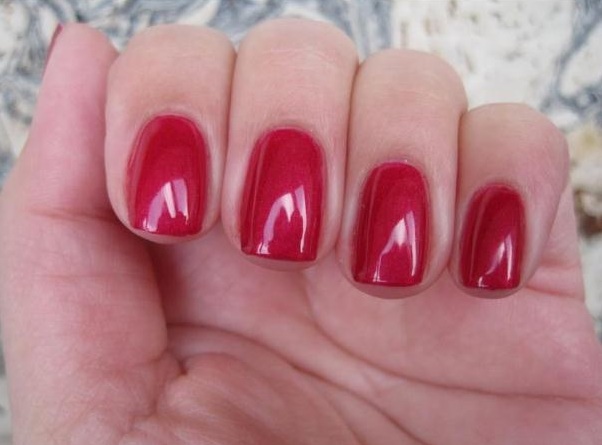 Shellac manicure usually ranges about $10 more than regular manicures. As compare to regular choice of nail polish, Shellac manicure contains limited nail colors. But now some other colors are also offered at salon. Some people have claimed about Shellac manicure that the process has weakened their nails. There are TONS of colors in gel manicure from which you can choose your own best color. The cost is cheaper as compare to the Shellac manicure. You can take the nail polish off on your own. The time period of traditional or gel manicure lasts about 5 days. You should be careful while cleaning. If you find your nails in a bad conditions, bad shape and cuticles then it is much easier to do at home. You can take the regular gel manicure and it will help you keep the nails look better. There is extra drying time for the traditional or gel manicure at salon. People sometimes get impatient. Salon manicure lasts longer than the manicure done at home. Minor chips are predictable. I had shellac manicure and adore it! I adore shellac manicure! It really looks gorgeous! Really nice post! Great info! thanks for sharing. Independente dos prós e dos contras, fica muito lindo. Amei.